The next recipe in the two recipe summer project; things have been quite busy, so I’ve already wavered from my plan a bit, but now that school is over, the chances are further and farther that I’ll actually keep to the goal. 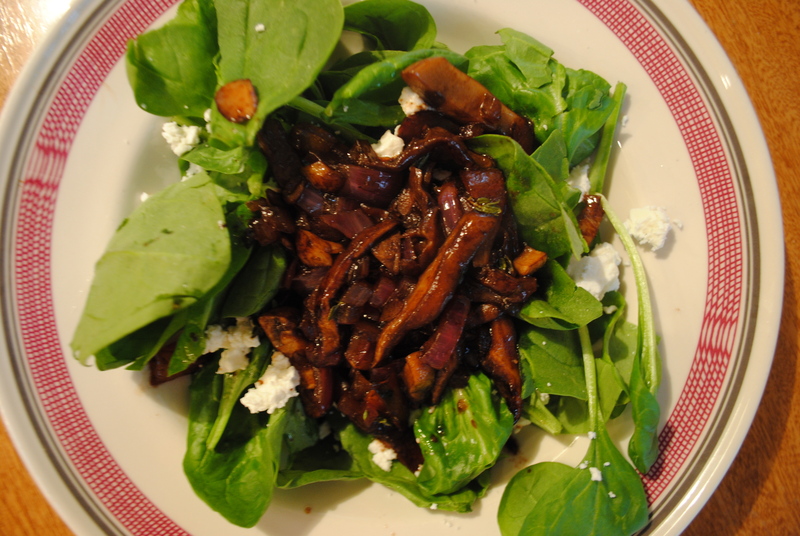 This is a warm dressing salad–balsamic, red onion, thyme, and shitake mushrooms, sauteed with olive oil in a pan. 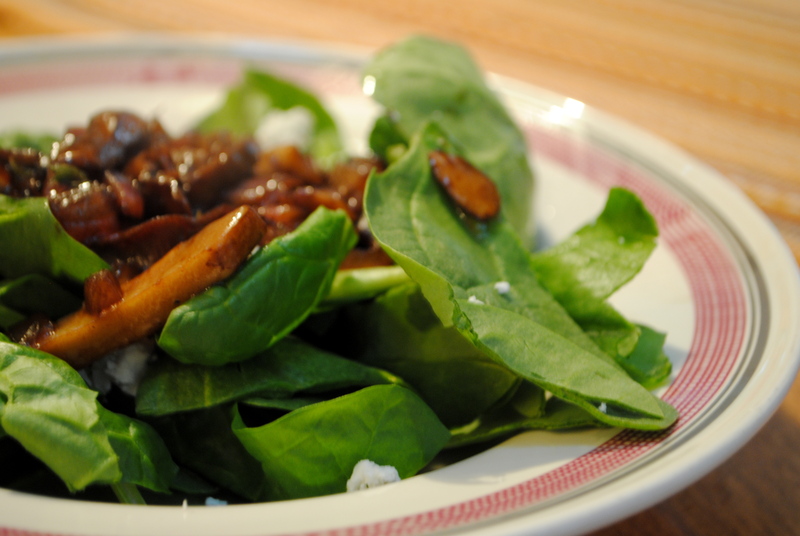 The fresh baby spinach is smothered in the hot dressing and finished off with chunks of fresh goat cheese. It’s a perfect summer dish, really. As always, tracking the whole thing over at flickr.